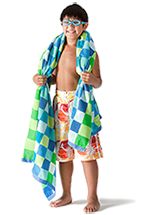 The YMCA of Greater Nashua offers a wide range of programs and activities to help you live healthy. Healthy living programs at the YMCA of Greater Nashua are designed to address specific health challenges that are being faced in the community. To see all the programs we’re offering this session, download our latest program guide. Healthy Living is important for people of all ages. 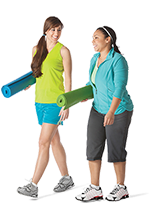 Our healthy living programs include Prescribe the Y, LIVESTRONG®, and Diabetes Prevention. While focusing on these programs specifically, our programs make sure to address health from a holistic view. From exercise, eating well, to learning about our health, these programs address all aspects of healthy living. For more information on these programs, please see contact info for each program below. This is a free 10-week program for children and their parents. 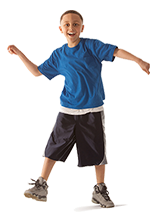 Children age 6-13 years old are referred to the program by their health care provider using the “Prescription for a Healthier You” form. The Welcome Center staff will register your child for the next open session upon handing in your referral. Expert wellness staff deliver a quality education and assist families in developing strategies to make healthy choices part of their daily routine. 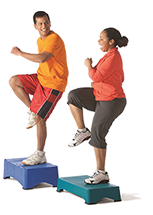 Personal trainers provide children with a caring, noncompetitive environment where they can experience the fun of physical activity and develop team-building skills while nutrition staff simplify healthy eating and help children explore options that are as appealing as they are nutritious. 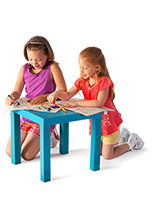 Children and families actively work each week to discover their path to health through balance and teamwork. This program has special qualifications required for registration. Contact our Prescribe the Y Supervisor, Kimberly Adie, for more information at kadie@nmymca.org or 603.882.2011. LIVESTRONG at the YMCA helps adult cancer survivors reclaim their health and well-being following a cancer diagnosis. Survivors can improve their strength and physical fitness, diminish the severity of therapy side effects, develop supportive relationships, and improve their quality of life. Since 2007, the LIVESTRONG Foundation has been the YMCA’s partner in developing and delivering LIVESTRONG at the YMCA. LIVESTRONG is a well-being initiative that helps people affected by cancer. This program has special qualifications required for registration. Contact our Livestrong Supervisor, Kimberly Adie, for more information at kadie@nmymca.org or 603.882.2011. More than 86 million adults have prediabetes, a condition where blood sugars are higher than normal but not high enough for a diabetes diagnosis. 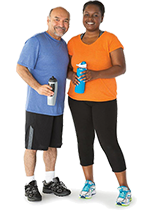 This year long program uses the CDC’s new Prevent T2 curriculum and is designed for those with prediabetes or who are at risk for type 2 diabetes. A trained lifestyle coach leads classes that teach participants how to eat healthier, reduce stress, and get more physical activity. You do not have to be a member of the YMCA to participate. 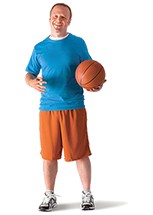 Any adult 18 years or older who has a prediabetes diagnosis or is at risk for Type 2 diabetes. You can determine your risk by visiting www.cdc.gov/diabetes/prevention or by talking with your health care provider. For more information on the PreventT2 program you can download the fact sheet, or for more detail on requirements and class dates, please contact Kimberly Adie, at kadie@nmymca.org or 603.882.2011.